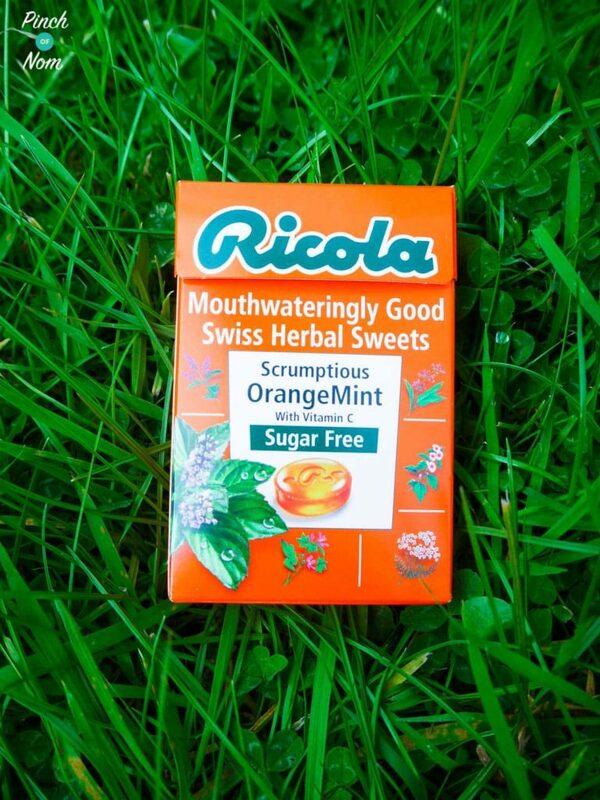 Recently, I was lucky enough to be asked to sample and review these Ricola Sugar Free Swiss Herbal Sweets. That kind of job is right up my street, so of course, I said yes! 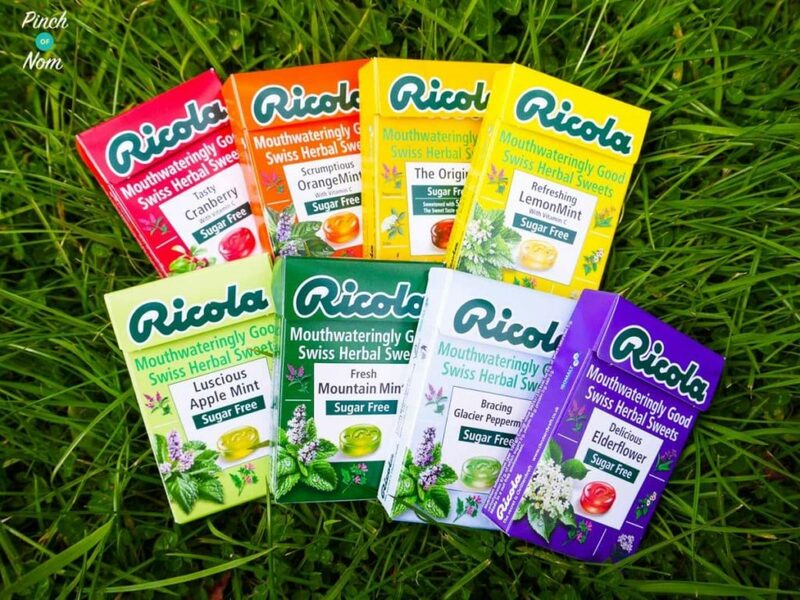 I received a parcel containing a range of the Ricola Sugar Free Swiss Herbal Sweets in a range of different flavours. It was like opening a little treasure chest! Each flavour comes in a small, brightly coloured cardboard box, illustrated with images of the herbs that are used to flavour the sweets. The sweets themselves are small, oval shaped, smooth boiled sweets. They’re made using a blend of 13 herbs grown naturally in the Swiss mountains, along with all natural flavours. On average, there are 18 sweets per box. 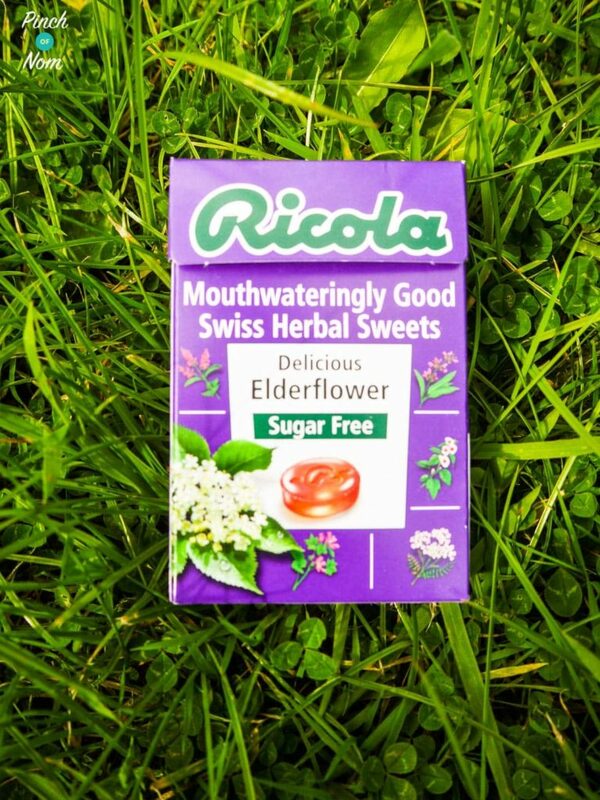 What do Ricola Sugar Free Swiss Herbal Sweets taste like? Well, where do I start?! The range includes 5 different mint flavours, so I’ll start there! These have a delicious, real spearmint flavour to them, not overpowering, just fresh and clean-tasting – very nice! The apple flavour comes over really well in this combination, the mint is hardly noticeable, to be honest. It comes through a little bit at the end, but very pleasant. Initially, you get a citrus, orangey taste, then the mint starts to come through. Slightly medicinal, but not unpleasant. My daughter pointed out that these would be great for a sore throat. Another citrus flavour, the lemon is refreshing and clean, and the mint doesn’t overpower the lemon. Not as medicinal in flavour as the Orange Mint option. Cool and refreshing, these have the strongest mint flavour of all the sweets. Very reminiscent of a Fox’s Glacier Mint! Really good peppermint flavour and one of my favourites. Having sampled my way through the mint range of flavours, I had a cuppa to cleanse my palate, before moving on to the rest of the range. These sweets have a very herbal flavour to them, not unpleasant, but not really my cup of tea. I couldn’t identify a particular, stand-out flavour, but overall I can only describe it as ‘herbal’. 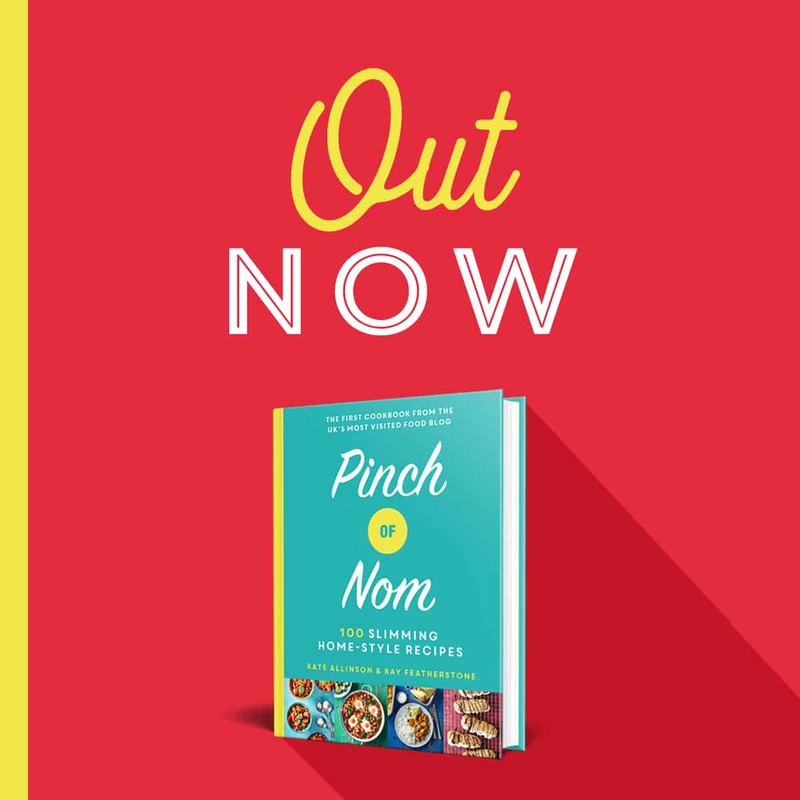 Initially, you’re hit with a fruity punch, but then it becomes quite an overpowering, artificially sweet flavour. Personally, this flavour wasn’t for me. 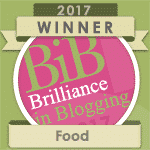 This was the flavour I was looking forward to – I love elderflower! Delicate, sweet and lightly perfumed. I wasn’t disappointed! A really good, elderflower flavour, refreshing and tasty. 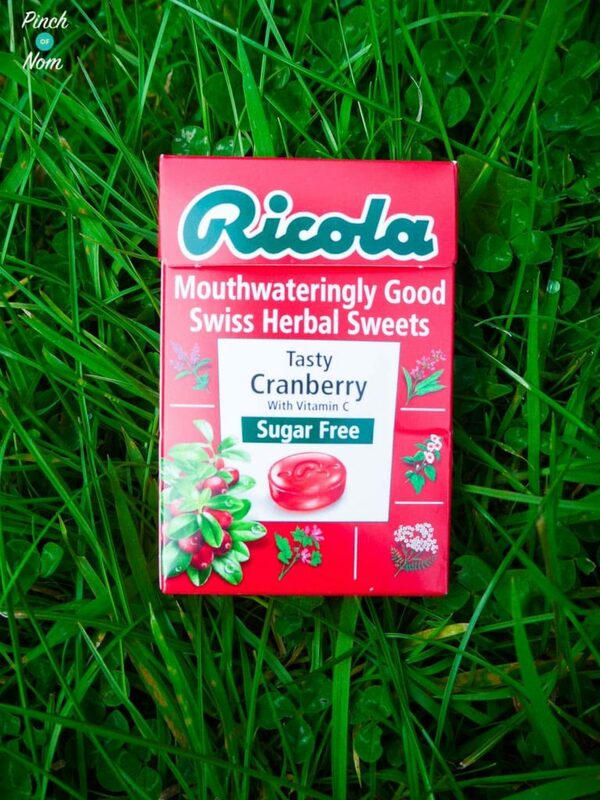 How many Syns are in Ricola Sugar Free Swiss Herbal Sweets? 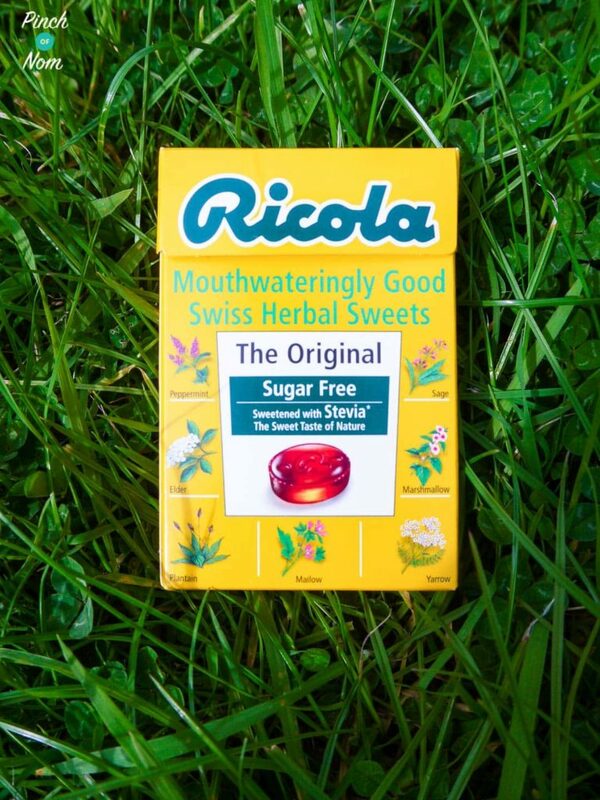 The Ricola Sugar Free Swiss Herbal Sweets are listed on the Slimming World app at 5.5 Syns per 45g box. 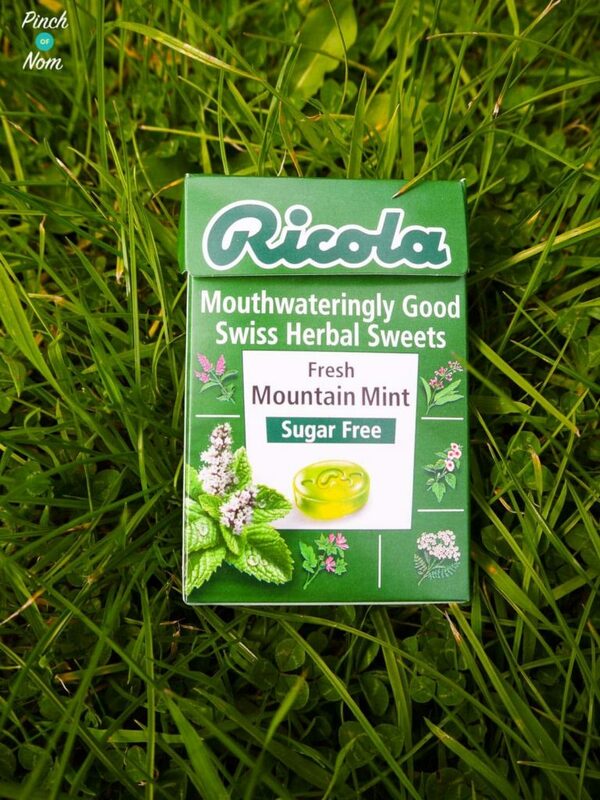 How much are Ricola Sugar Free Swiss Herbal Sweets? 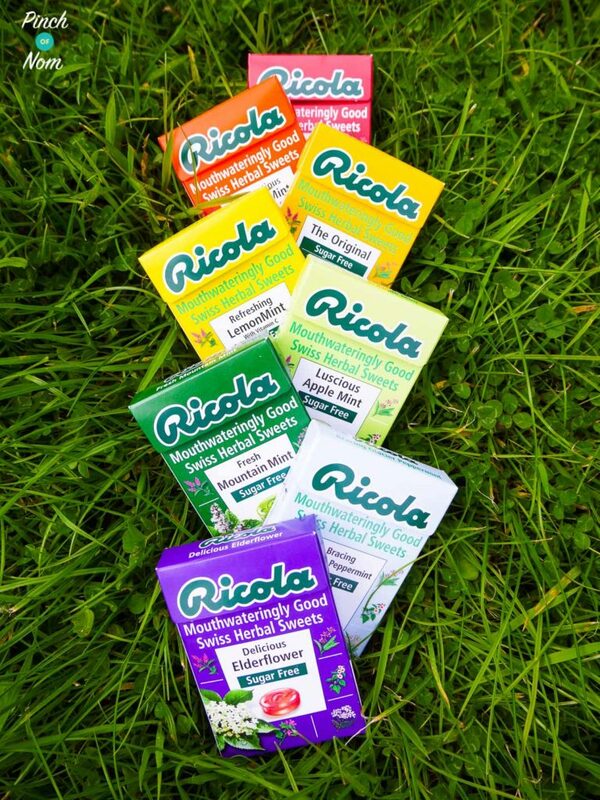 The majority of stockists sell these Ricola sweets at £1.30 per 45g box. They’re currently listed at 65p in Waitrose, (50% off promotion) but we don’t know how long this promotion runs for. 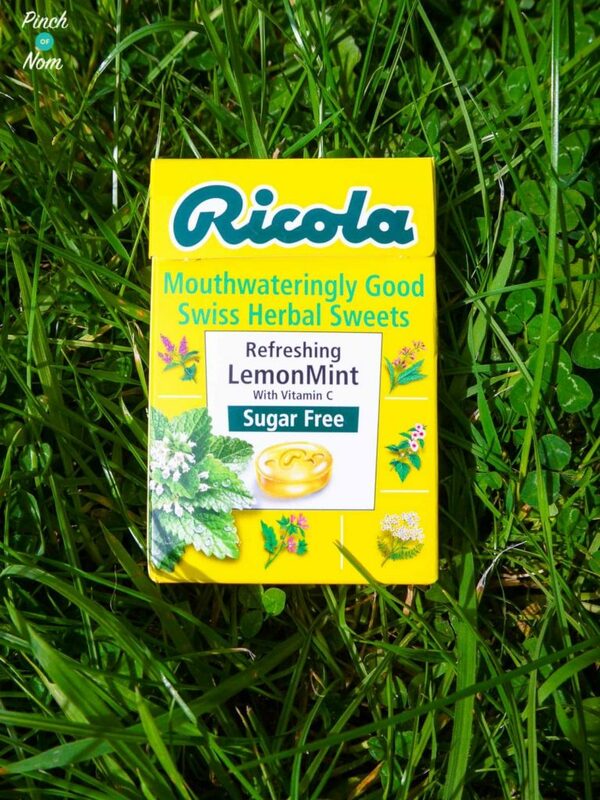 Where can I buy Ricola Sugar Free Swiss Herbal Sweets from? 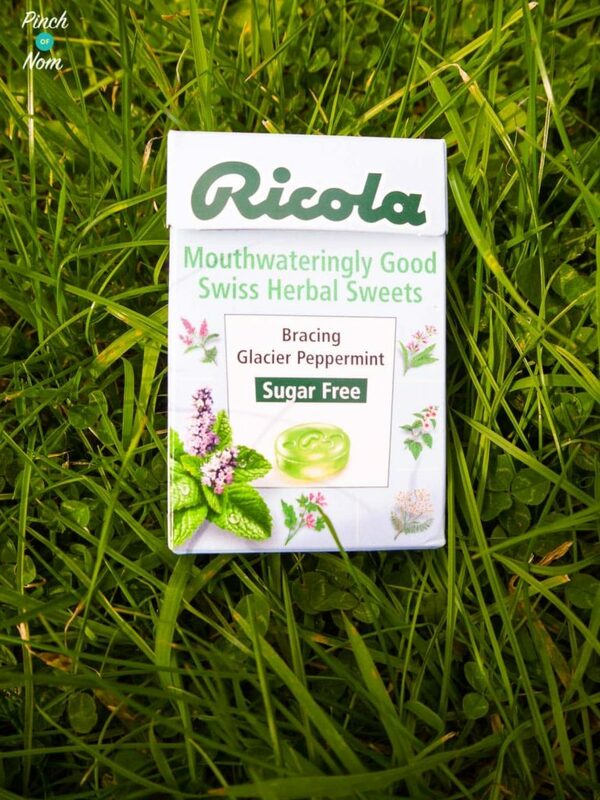 The 45g boxes of these Ricola Sugar Free Swiss Herbal Sweets are available from Holland and Barratt, Morrisons, Waitrose, Ocado and Sainsbury’s, although some stores don’t stock the full range. 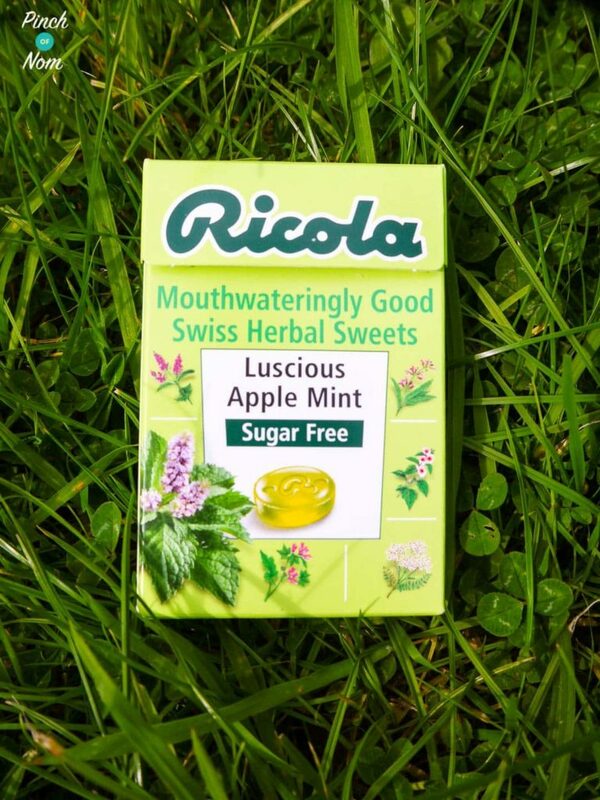 You’ll also find Ricola Sugar Free Swiss Herbal Sweets in some independent chemist shops. 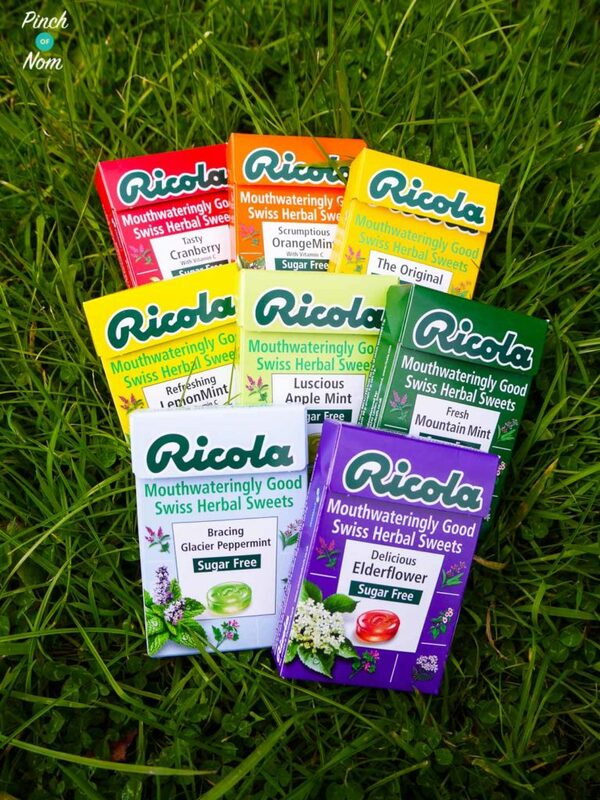 Would I buy Ricola Sugar Free Swiss Herbal Sweets again? I wouldn’t buy all of the flavours again, but I’d certainly buy some of them! My particular favourites were Apple Mint, Mountain Mint, Glacier Peppermint and Elderflower. 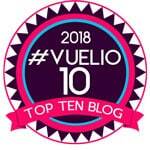 The Syns info is included in the article! I have had these for years they are lovely apple mint are my favourite . Aldi do some lovely sugar free sweets too, the ruhbarb and custard and my fav!